Of course, the film is “about” a lot more than violence, America, Vietnam, and the Sixties. It’s about growing old, about having and losing a sense of place in one’s world, about values, about loyalty, about beauty, and, ultimately, about learning—or failing to learn—what it means to be a human being. It’s also about the movies. 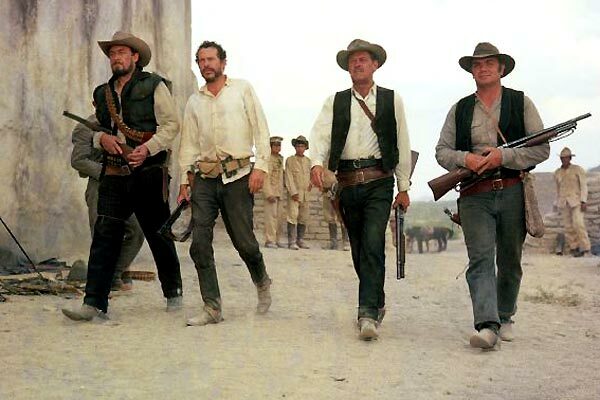 You see in The Wild Bunch both a celebration of and a brutal overhauling of conventions of the western genre. To a large extent, the film is a gloss on the world of John Ford, whose visual magnificence Peckinpah embraces, but whose sentiments about life and death and good-hearted frontier folks he found no longer relevant to the pivotal era in which he lived and worked. His emphatic insistence, in the film’s opening, on Ford’s great horseman Ben Johnson and Ford’s beloved anthem “Gather at the River” announces his film as a paean to the great western auteur he is about to bury. The film’s portrayal of violence also sets the traditional western on its ear: No more puff of smoke, clutch the chest, fall over dead. Let’s try to be honest about what bullets actually do to people, and in so doing perhaps we can be more honest about people themselves. The terse, spare dialogue of the traditional “silent stranger” of western myth, in the “shucks, ma’am” mold of Gary Cooper and Randolph Scott, informs the poetic rhythms of The Wild Bunch‘s very special spoken language, from “If they move, kill ’em” to “you have no eyes” to “Let’s go” and “Why not?” to “It’ll do.” No John Wayne speechifying here; the longest monologues might run to two or even three sentences, and that’s all it takes to encapsulate a Code. Visually, the film is breathtakingly gorgeous, its framings, movements, and rhythms utterly right, that self-assured rightness that the best films always have. 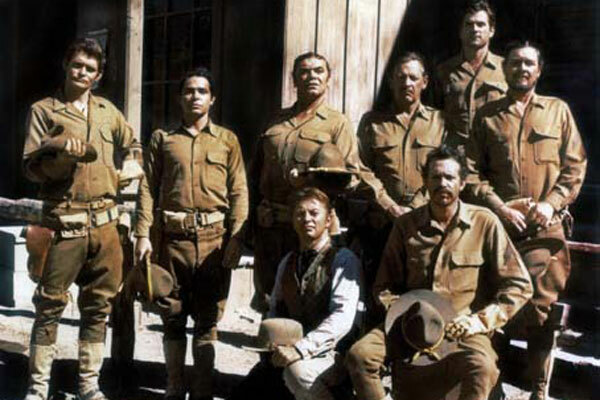 A 2009 audience may not readily appreciate the stylistic innovations Peckinpah dared in this film, so many of them having become, through subsequent admiration and imitation, a fundamental part of today’s language of film. 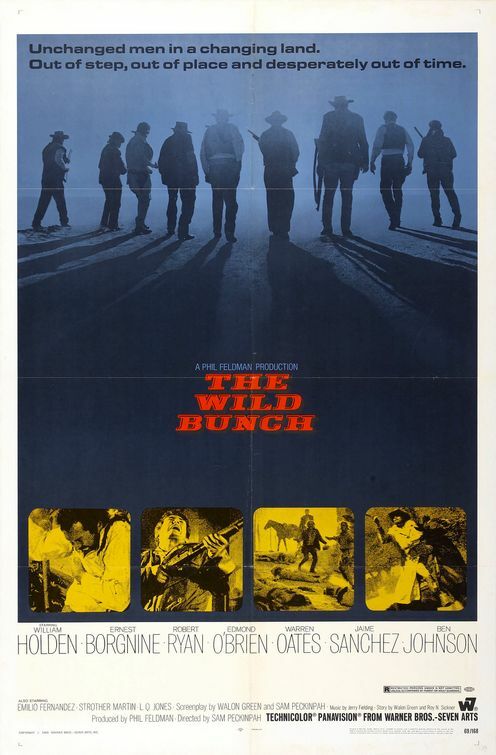 The Wild Bunch plays March 13-19 at Northwest Film Forum, as part of the year-long series “69,” an exploration of the films of 1969. Robert Horton will introduce the opening night 6:00 pm screening. Finally got down to reading this. Wonderful, wonderful piece, Bob. You’ve always done it right. My sentiments exactly. My favorite movie of all time.Belongs with The Searchers and Shane as greatest westerns ever. But The Wild Bunch is No. 1 with me.